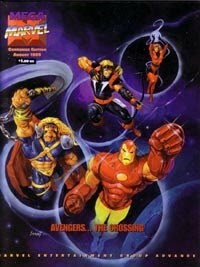 Catalog, including some artwork by George Pérez. This color version is from Hero Illustrated #26. The image originally appeared in b & w in Mega Marvel Catalog, August 1995.